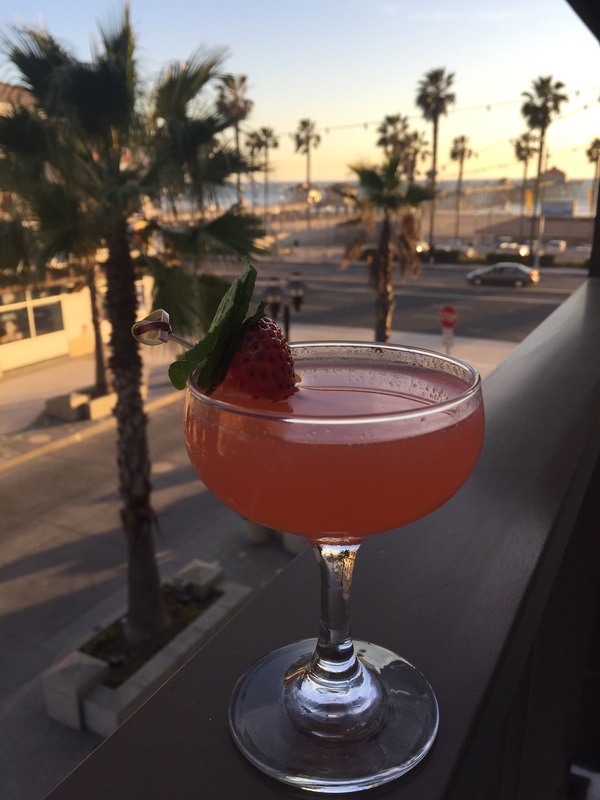 Looking for the perfect cocktail recipe for your Valentine’s Day dinner or looking for one of the most romantic places to go out for a cocktail in Orange County? Zimzala Restaurant at the Shorebreak Hotel in Huntington Beach is one of the hottest new places for couples to escape together for the night to sip on delicious handcrafted cocktails while enjoying the fresh ocean breezes. The general manager of Food and Beverage at Kimpton’s Shorebreak Hotel, Blake Brissette-Mathias, let us peek into his recipe book, and share two of his Valentine’s Day cocktail recipes. With more than eight years of experience, Blake is at the forefront of the culinary scene in Orange County by creating cutting new food and beverage initiatives. Get your cocktail glasses ready, and entice your husband tonight with one of these distinctive cocktails.